@gracielagon @sarkerabeed @ChildrensPhila @NIDAnews @UPennHLP @UPennIBI Where can I locate the data from this study? "Social Media Mining for Trends in Prescription Medication Abuse": there is a significant lag in our capacity to gather data - we won't know the state of the opioid epidemic today until 2 yrs from now. @sarkerabeed at @ChildrensPhila on his NIH @NIDAnews @UPennHLP R01 @UPennIBI. Welcome to the Penn Institute for Biomedical Informatics. IBI is dedicated to building informatics infrastructure at the University of Pennsylvania. IBI is home to the Idea Factory, a state-of-the-art visualization facility. IBI brings together scientists from across the informatics spectrum with a goal of advancing biomedical research. 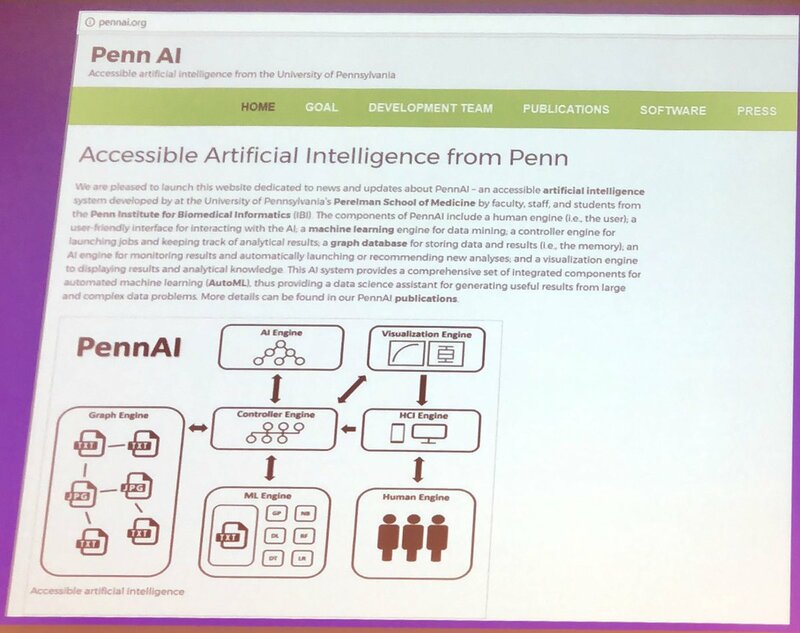 Penn has a prominent history in computational science. IBI unites faculty, researchers, and clinicians from the Perelman School of Medicine, the University of Pennsylvania Health System, and Children's Hospital of Philadelphia. Welcome to the Institute for Biomedical Informatics (IBI) at the Perelman School of Medicine of the University of Pennsylvania. Our mission is to provide an interdisciplinary home for faculty, staff and students interested in bioinformatics, clinical informatics, clinical research informatics, consumer health informatics, and public health informatics. 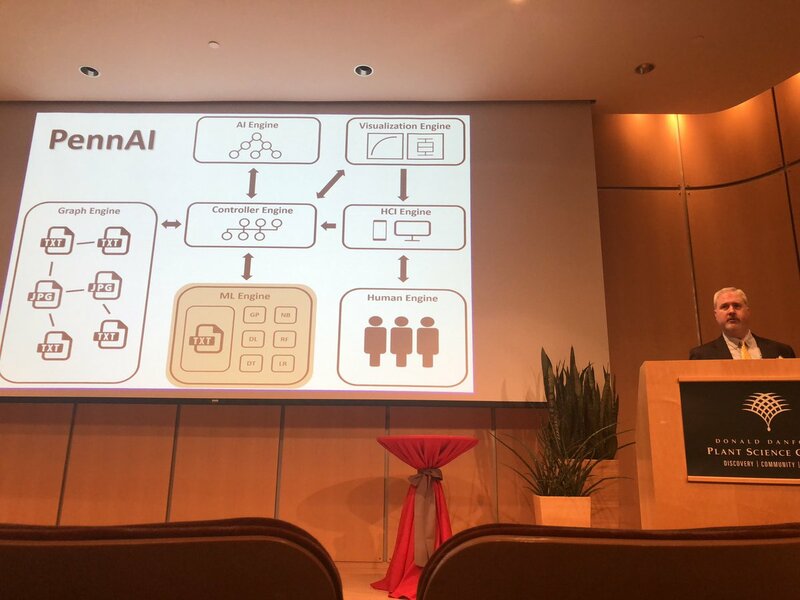 It is our goal to improve healthcare and fundamental knowledge of biological systems by creating an informatics ecosystem through cutting-edge educational programs, computational infrastructure, and collaborative research. We very much look forward to working with you. Biomedical informatics (BMI) is the interdisciplinary field that studies and pursues the effective uses of biomedical data, information, and knowledge for scientific inquiry, problem solving and decision making, motivated by efforts to improve human health. BMI develops, studies and applies theories, methods and processes for the generation, storage, retrieval, use, and sharing of biomedical data, information, and knowledge. BMI builds on computing, communication, and information sciences and technologies and their application in biomedicine. BMI investigates and supports reasoning, modeling, simulation, experimentation and translation across the spectrum from molecules to populations, dealing with a variety of biological systems, bridging basic and clinical research and practice, and the healthcare enterprise. BMI, recognizing that people are the ultimate users of biomedical information, draws upon the social and behavioral sciences to inform the design and evaluation of technical solutions and the evolution of complex economic, ethical, social, educational, and organizational systems.